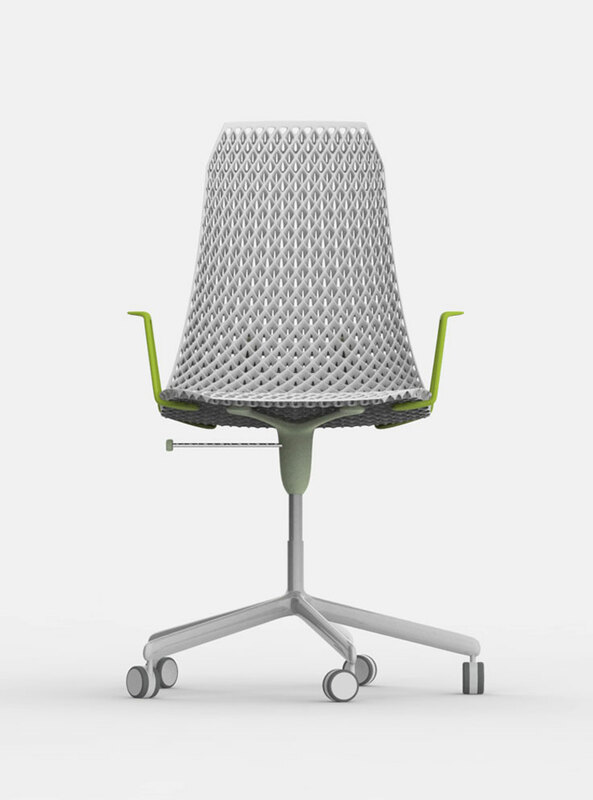 Modern office chairs are often quity complex and consist of many parts to achieve all kinds of movements and support. 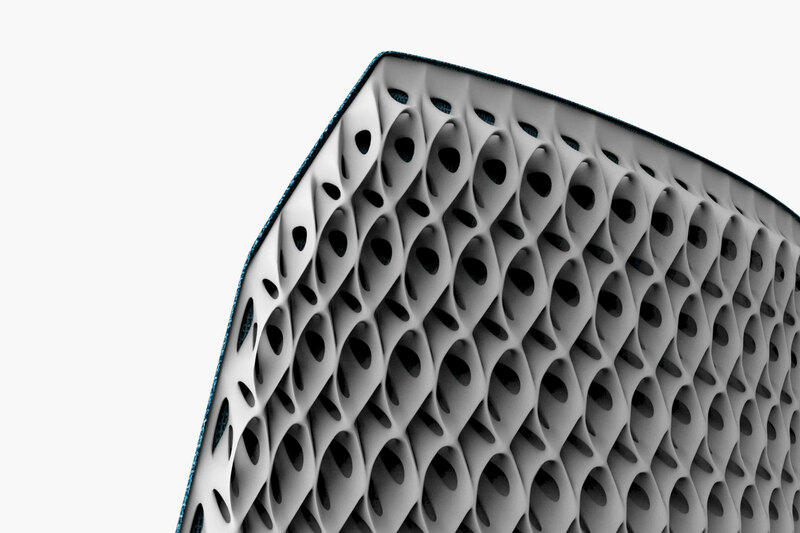 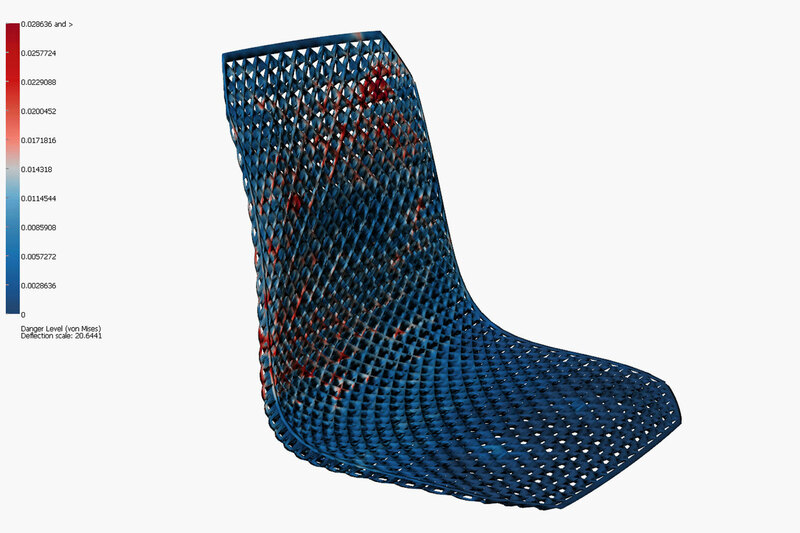 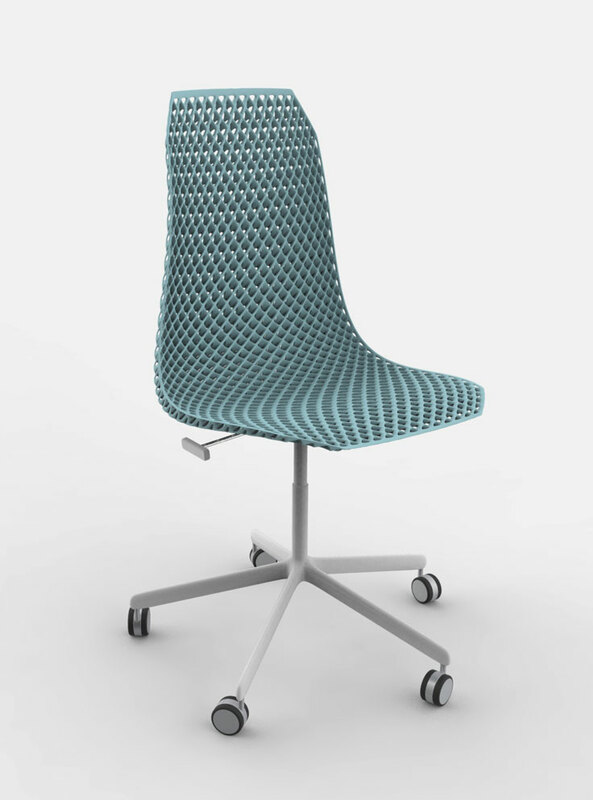 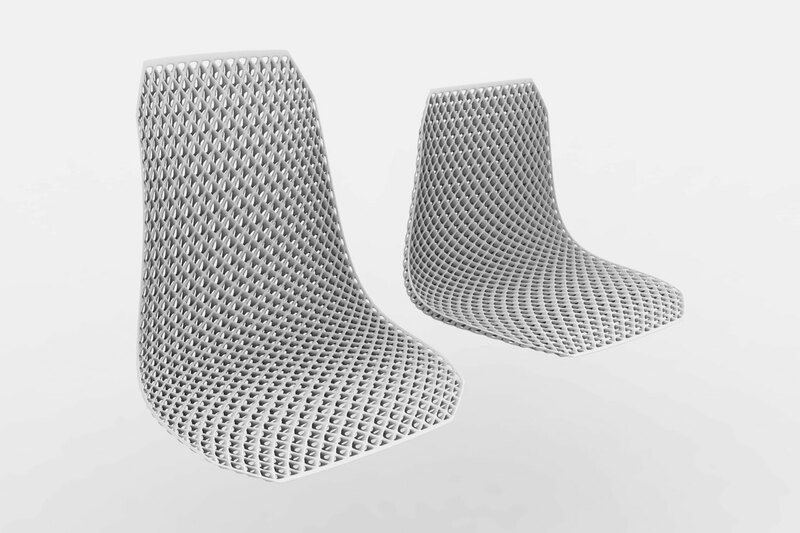 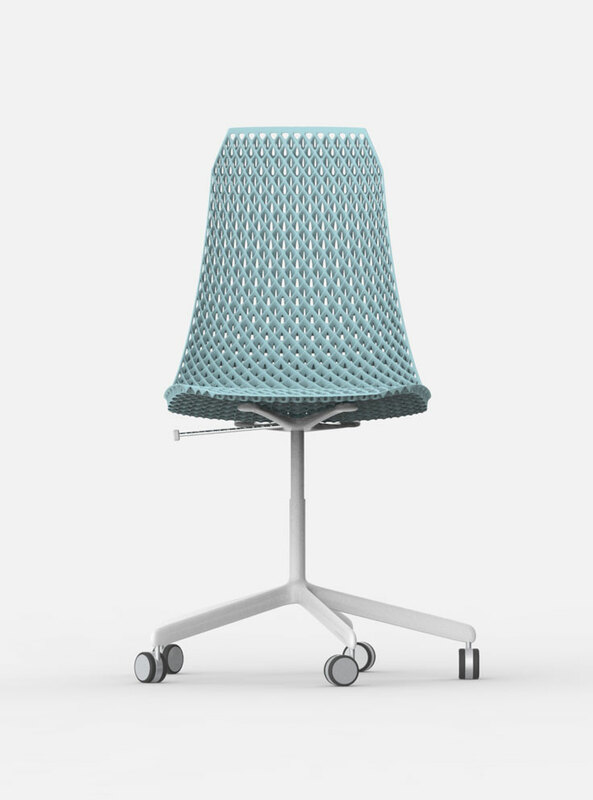 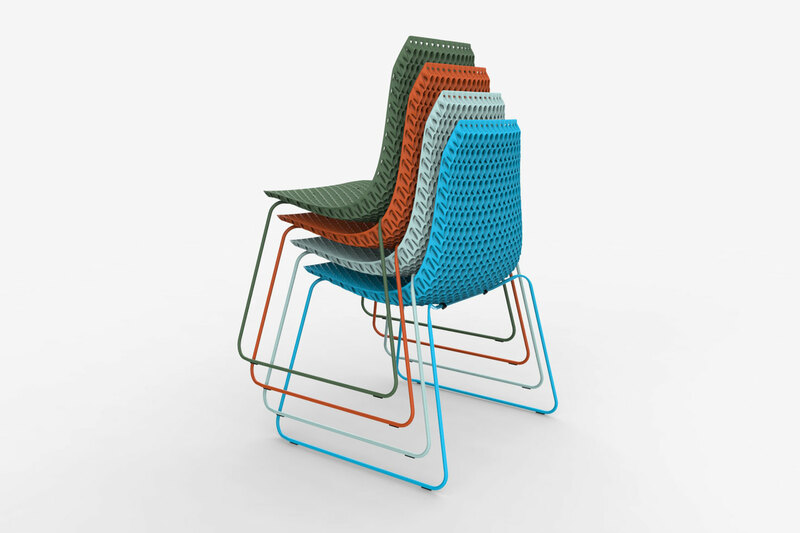 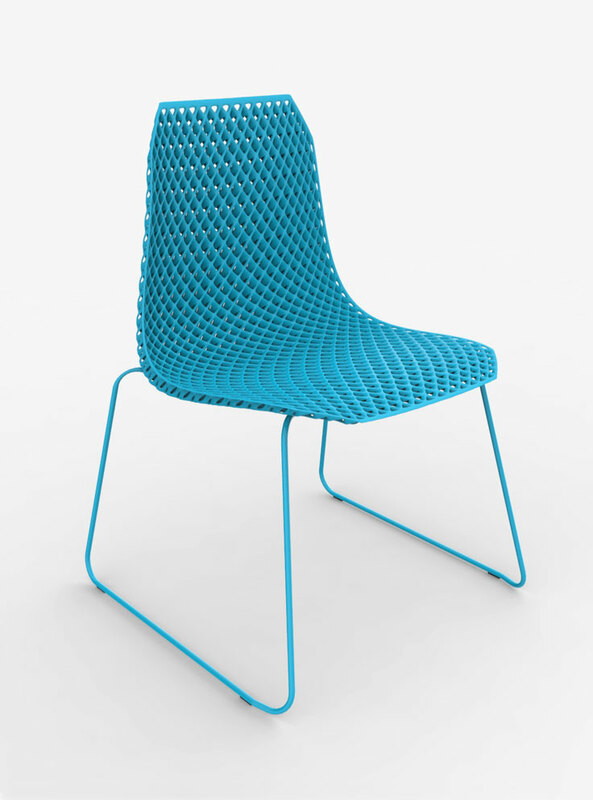 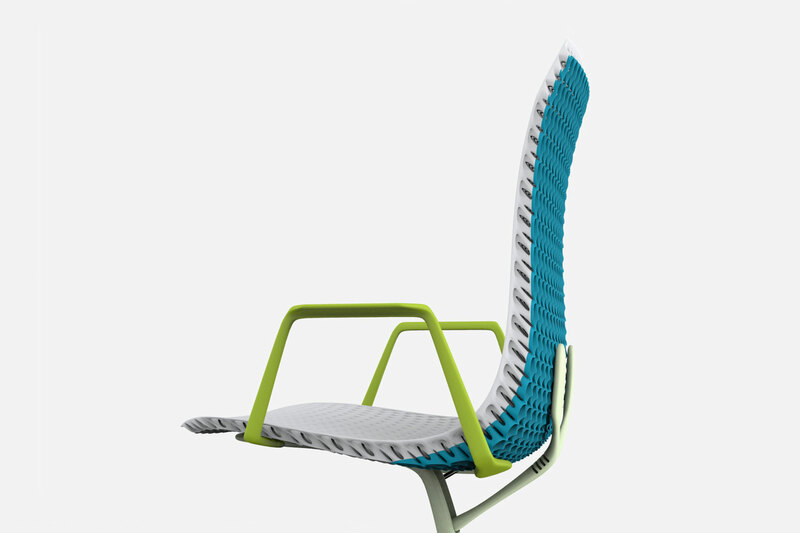 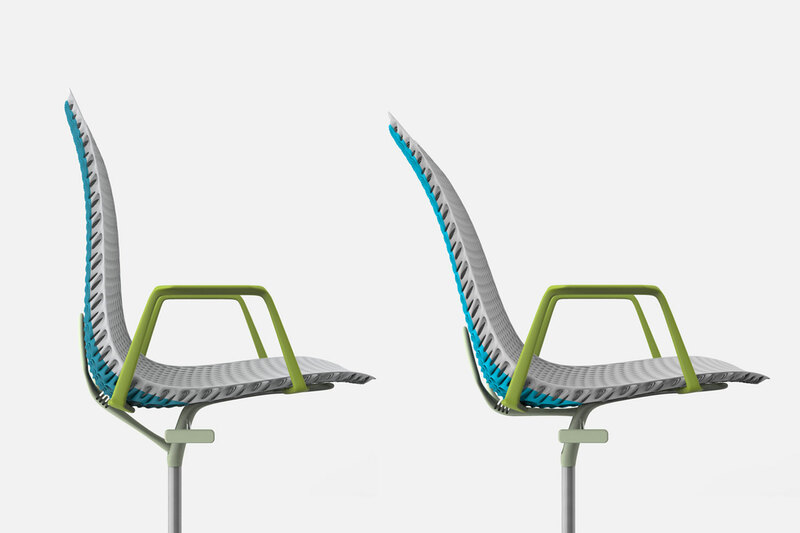 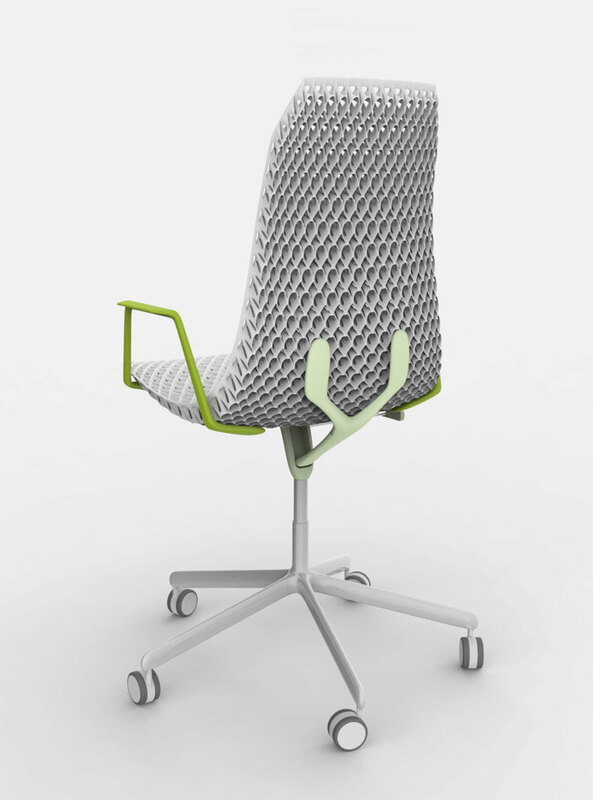 Net Chair as a concept aims to incorporate many of these functions into one intelligently made plastic molding. 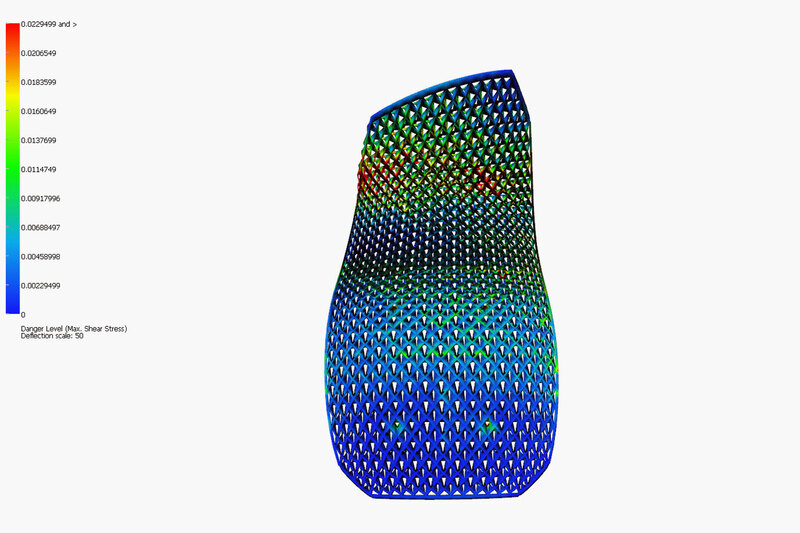 A complex net structure changes thickness and therefore stiffness in areas of wanted flexibility or stability. 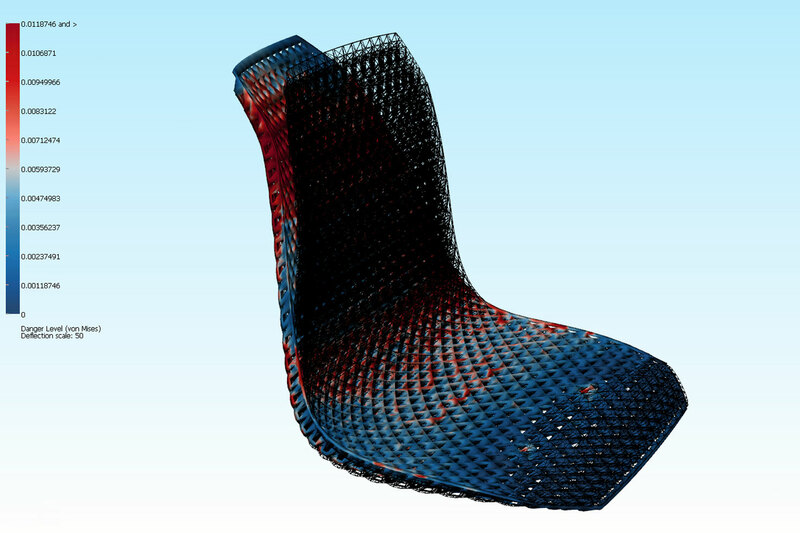 We also made some some structural simulations to test the stability of the shell, as well as moldability.